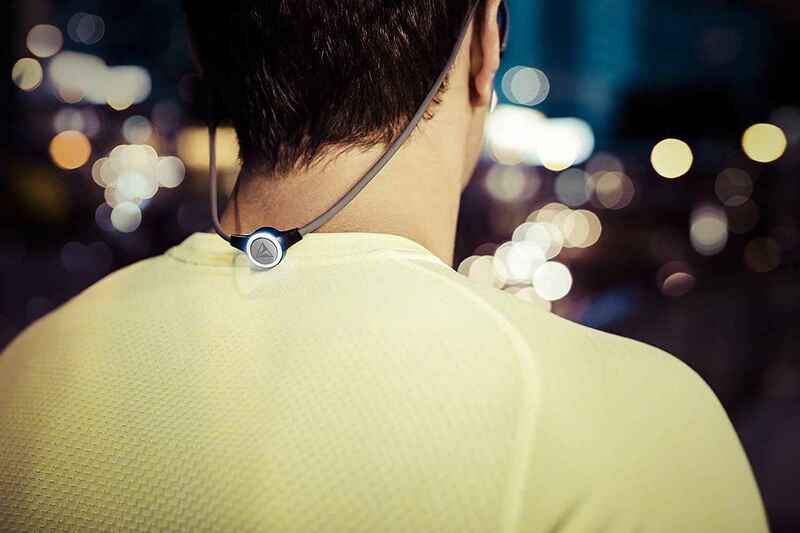 perfectly suits for those that like to listen to music while exercising. It sounds like advertising. What do you mean? Give us a moment and read this Gibson Trainer Ti100 review. This is a standard procedure. When a company wants to create a sports product, it usually partners with a famous sports personality. If the marketing material is to be believed, the Gibson Trainer Ti100 was in fact created in partnership with Usain Bolt. This is perhaps the reason that these in-ear headphones don’t come cheap. Can they really offer what the price promises? 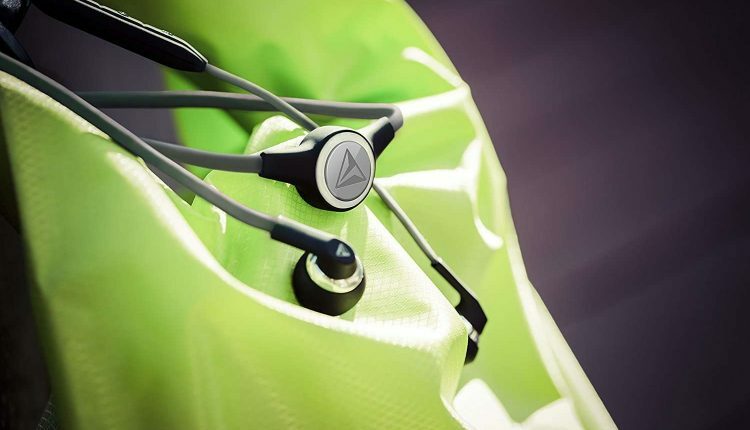 At first glance, the Trainer Ti100 looks like a pair of wireless Bluetooth earphones with the neckband styling. You get nothing more than two earbuds connected by cable to the battery. Black or white style. However, it comes with plenty useful additions. We are speaking about the NighNav mode. At the center of the cable connecting the two earbuds is an LED light for use. Once you activate this mode, the LED light will start to pulsate, so you get some extra visibility while you running outside at night. It is a bright light and visible on long distance. The only problem is the position. It is situated at the back of your neck – only people behind you can see the light. The Gibson Trainer Ti100 is designed to be worn in two different styles – looped over the back of your ears or straight in your ears. Both of styles have their own positives and negatives, it is just a personal choice. The tips are rotatable to accommodate your chosen style. You get four different earbud tips in the box, and three of them include wing tips of differing sizes. For most users, the highest quality of sound is not something that is expected at this price point. 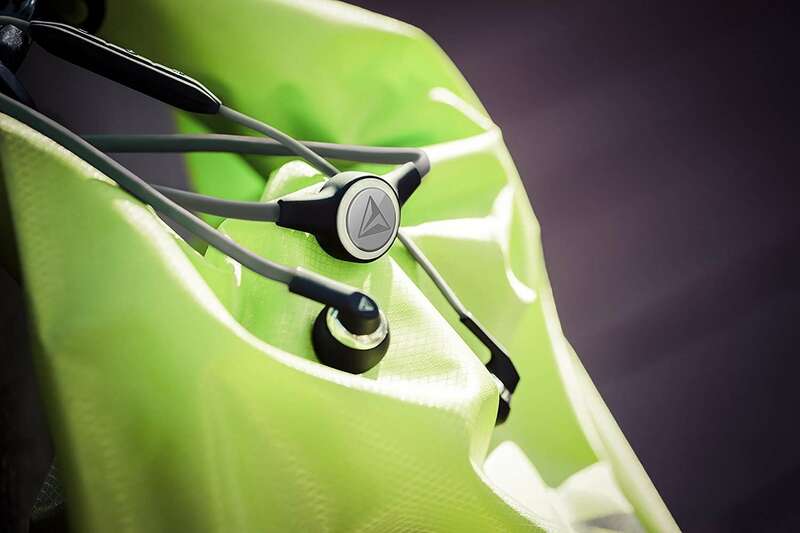 These are not gaming or studio headphones, Ti100 is aiming at sports users. But still, the Trainer by Gibson delivers a decent quality of sound. Perfect? Great? No, the sound is just fair but not excellent. The noise isolation is pretty good, although this might not be ideal if you are running on the road. This is a key feature of these headphones. The double-click the O button in the middle activates the NighNav mode, and three white LEDs will start pulsing around the circumference of the battery. 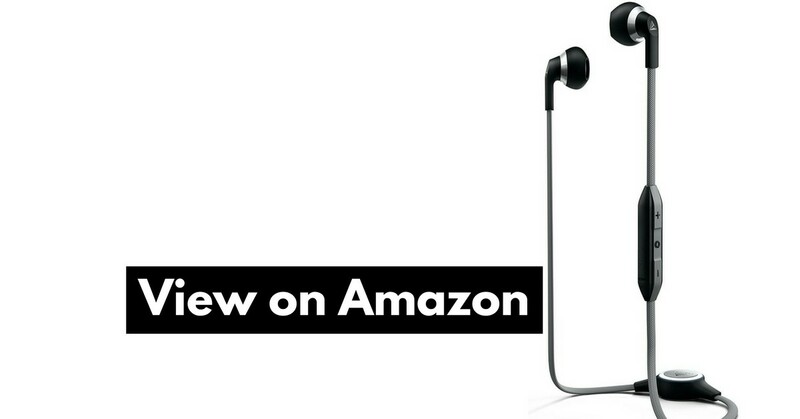 It gives you complete freedom of movement, but this is the absolute standard nothing special for running headphones. Choose your wearing style – straight in ears, or looped over the back of ears. The headphones are weather-sealed but not waterproof. The Gibson Trainer Ti100 earphones are not perfect. The sound quality is better than average, design too. The main advantage is the clever NightNav feature, a safety light for night running. The definite plus is also the volume reducing Safesound option and robust build. In short, Ti100 is offering enough quality to keep most runners happy, but nothing extra. For the price, they are rather expensive. If you want to buy a pair of wireless headphones for exercise, BlueAnt Pump HD Sportbuds or BackBeat FIT are better options. Ti100 is offering enough quality to keep most runners happy, but nothing extra.